With Memorial Day Weekend around the corner, the Wildwoods have planned a jam-packed weekend of events to kick off the 2018 season. 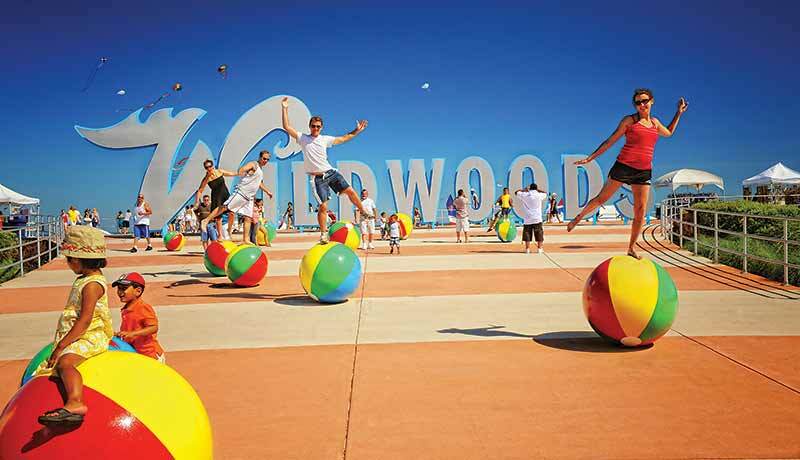 Tourism officials foresee the potential for the 2018 Wildwoods’ season to be even bigger than years past with the help of an improved economy, new FREE events and attractions, new eateries, fun festivals and events and free weekly concerts. It’s time to get your feet sandy – the fun begins at noon on Friday, May 25 on the beach at Andrews Avenue next to the Wildwoods Convention Center where state and local tourism and city officials, guest speakers and over 300 elementary school children will participate in the ceremony to officially unlock the ocean with a large, ornate ‘W’ key. There will be plenty of colorful kites in the air and after the ‘Unlocking’, the children will fly kites that they made earlier that morning in kite-making workshops inside the Convention Center, officially kicking off the International Kite Festival. This event is FREE to attend and everyone is welcome. The 33rd Annual Wildwoods International Kite Festival, the largest kite festival in North America, also begins on Friday, May 25 and features kite makers from around the world flying their most incredible colorful creations. The Kite Festival is free to spectators, and kicks off on Friday, May 25 at noon with the 'Unlocking of the Ocean' media event on the beach at Andrews Avenue south of the Wildwoods Convention Center. Kite festivities follow with the opening of the Kite Sales tent, Friday night kite social, and the 9 p.m. illuminated kite fly. Saturday, May 26 and Sunday, May 27 include the East Coast Stunt Kite Championships on the beach as well as kite workshops and family games. Monday, May 28 will feature the World Indoor Kite Competition inside the Wildwoods Convention Center where skilled kite fliers will showcase their impressive ability to fly a kite without wind to intricate choreography. For more information call 732-822-4884 or visit www.SkyFestivals.com. The Wildwoods Convention Center will once again host the Regional Gymnastics Championships, taking place Friday, May 25 through Sunday, May 27. The United States Association of Independent Gymnastics Clubs will hold the Regional Gymnastics Championships, featuring talented athletes competing on the floor, balance beam, uneven bars, and vault. An exhibition will be held Friday, May 25 from 9:30 a.m. - 9 p.m. Competitions for events will be held on Saturday, May 26 from 8 a.m. - 10 p.m.; and Sunday, May 27 from 8 a.m. - 9 p.m. Admission is $20 for adults and $10 for children. Tickets will be available for purchase at the door. For more information call 609-704-9700 or visit www.usaigc.com. The Downtown Wildwood Farmer's Market will take place every Saturday starting May 26 from 8 a.m. - 12:30 p.m., through Labor Day weekend, rain or shine. The market is located at Byrne Plaza at Oak and Pacific Avenues featuring locally grown fresh fruit and vegetables, baked goods, plants, local honey, nuts, tea products, meats, cheeses, gourmet herb mixes, handmade soaps, fresh made salads, local wine, hand made goods, and much more. There will be live music, family entertainment and a live broadcast from 98.7 The Coast every week. FREE parking is available. 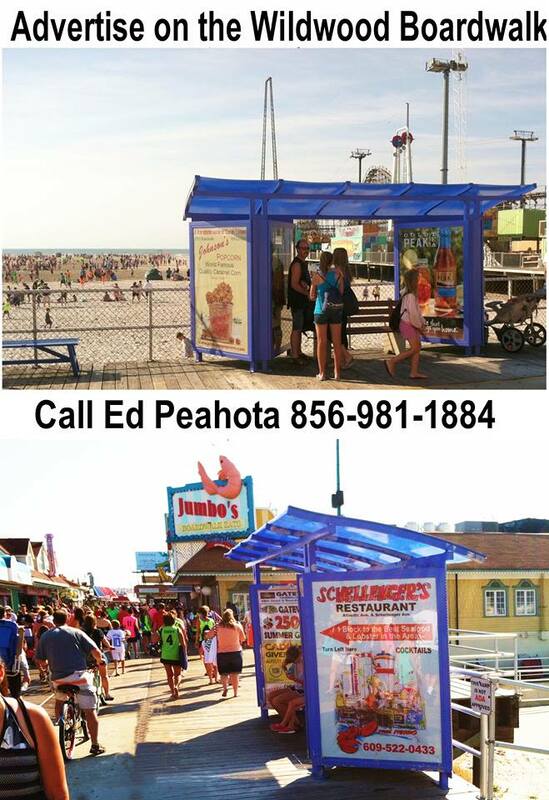 For more information, call 609-523-1602 or visit www.dooww.com. Also happening in the Wildwoods this weekend is the Boardwalk Craft Show on the Boardwalk at Rio Grande Avenue – featuring all handmade products – from 9 a.m. - 5 p.m. on Saturday, May 26 and 9 a.m. - 4 p.m. on Sunday, May 27 (rain or shine). This event is free to attend, Visit www.BoardwalkCrafts.com for more information. Sunday, May 27 – 7:30 p.m.
Wildwood Crest’s Summer Kickoff Concert will take place on Sunday, May 27 in Centennial Park, Fern Road and Ocean Avenue, at 7:30 p.m. The FREE outdoor all-ages concert will feature dance and party hits by Chatterband– marking an exciting start to the summer season. Bring your friends and family out for an incredible time – and don’t forget your beach or lawn chair! 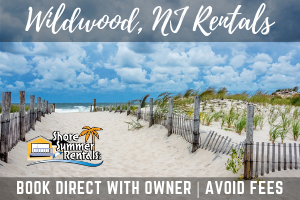 Call 609-523-0202 or visit www.VisitWildwoodCrest.com for more information. The Wildwoods offer not only fun events but also solemn ceremonies for remembrance and reflection to honor our veterans and active service persons. On Monday, May 28, residents and visitors alike are invited to pay their respects during a ceremony at the North Wildwood Veterans Monument at Spruce and New York Avenues in North Wildwood starting at 10 a.m., hosted by VFW Post 5941. There will also be a service earlier that morning at 9:30 a.m. at the Hereford Inlet Lighthouse flagpole where the names of the VFW Post 5941 members who have deceased since last Memorial Day will be read and their service honored. At 11 a.m. a ceremony hosted at the Wildwood American Legion Post #184 at 4200 Atlantic Avenue, Wildwood, will take place featuring speakers, recognition of deceased comrades, a Color Guard 21-Gun Salute, "Taps" and wreath laying ceremonies at the post, Memorial Walk and the Vietnam Veterans Memorial Wall. Police Explorers along with the Wildwood Beach Patrol will also lay a wreath in the ocean behind the Wildwoods Convention Center. The Wildwood Memorial Day Ceremony will be hosted by the Vietnam Veterans Chapter 955 and the American Legion Post #184. For more information call 609-522-3613. 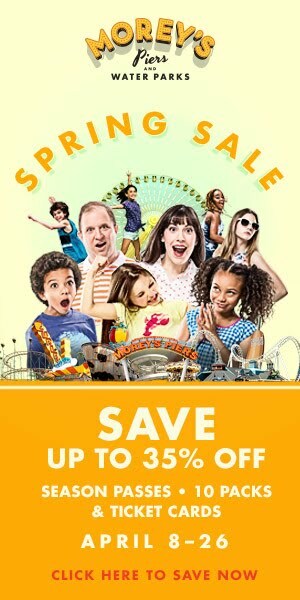 Be sure to visit the Wildwoods website at www.WildwoodsNJ.com for the most up-to-date information and details about upcoming events and additional information about the Wildwoods, or call 800-992-9732.